Once you are done with the designing and development part of your website, now you need it to be online. That’s where you need the web hosting services for your business which helps a lot in order to bring people to your site. Without web hosting services, no one can access your site. There are different web hosting service providers available in the market that can help you to host your site. If you want your website to be accessed globally on the internet, then you need the help of web hosting. In order to host your site online, you should have a domain. Domain registration is the very first step that you should take whenever you are trying to host your site. In this process, you may face several difficulties in choosing the right domain name. Sometimes, the domain name you want, might not be available because someone already took it. Therefore, you have to choose the right domain name that has uniqueness in it and which is related to your business. However, there are different aspects are out there that you need to know about web hosting. You might wonder what does this mean, how does it work, etc. Web hosting allows you to publish your website on the internet via the World Wide Web or WWW internet protocol. For the entire process of web hosting, you need a business company that consists of all the technologies for web hosting. The web hosting service providers are responsible for the availability of access to your website online. You only have to develop a user-friendly website and post it with the help of the web hosting service providers. In order to do so, the service providers may charge you some money. However, once you post your site, you will find your site reflected on the internet. 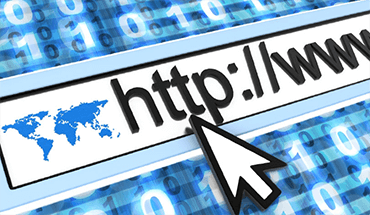 Whenever a user wants to view your website, he/she only needs to type the URL of your site. After that, the system will connect to the server and then the webpage will be delivered in their system. In this way, a user will go through the different products and services you offer by scrolling on your site. And if the user finds the products and services attractive enough, then you will get revenue from it. With the help of web hosts, you post your site on the world of internet so that it can be accessed globally. In this process, you might wonder how does it work. After you completely register your site with the domain registrars, they will make your site available for users to access. You have to upload different files that helped you to create your website to the web hosting service providers. After that, they will store these files and deliver them whenever the users request for your site. When a user types the web address in the URL bar of their browser, the browser completes the rest phenomenon itself. During this process, the computer connects to the server where you have hosted your site to offer a better user experience to the users. In turn, the servers do the job of sending back the files that you have stored for your website. Once the browser completely loads the files, the user will get the full access to the website. There are several important facts you should know about the web hosting services which have been mentioned in the section below. At first, you have to be aware of the security type you want to have on your website. Know the cost of the sub-domains. You should have a basic idea about the traffic that your site is going to face; this would reduce the overage charges. Most of all, the service provider has to provide the best support. After getting all these information, you should not have any further difficulties to choose the right company for web hosting services.